The Pingxi Small Railway line is a thirteen kilometre, narrow-gauge railway, one of three remaining open from the Japanese era and by far the most accessible for short-term visitors to Taiwan. It's a great day trip from Taipei, or it can be easily visited alongside a trip to Jiufen and Jinguashi, and the train route from Taipei goes through Houtong. It's most famous for the Shifen Waterfall - the broadest and one of the most spectacular in Taiwan - and for the release of sky lanterns, which I don't recommend due to their harm to the local environment. Much like Jiufen and its siblings Jinguashi and Houtong, the towns along the Pingxi Line were all once thriving mining towns, all feature “old streets” selling tourist paraphernalia and old Japanese buildings (fewer in these towns than Jiufen or Jinguashi). But compared to Jiufen and Jinguashi, these towns have a much more ‘rough around the edges’ feel. While the former were all but abandoned after the mining collapsed, and have reinvented themselves as padded tourist destinations, the towns along the Pingxi Railway feel more like authentic small towns, except that coal has been replaced by tourism as their main source of income, still supplemented by horticulture, as it has been for generations. Step off the tracks and go for a wander around these towns and it can feel quite other-worldly, but certainly not Miyazaki’s spirit world of Jiufen. Towns are presented in order starting from Sandiaoling Station (from Taipei, Jiufen or Hualien). Sky Lanterns Pingxi is most famous for its release of Sky Lanterns, essentially hot air balloons made mostly of rice paper. Legend has it that these balloons were invented in China around two thousand years ago as a means of sending military information, and were introduced to Taiwan in the nineteenth century. Being isolated by mountains all around, the area was prone to banditry, and the sky lanterns were used as a warning to women and children to run into the mountains for safety, or to signal when it was safe to return. They soon developed into a form of prayer, and have been released annually around Chinese New Year for generations. Once the fun is over, sky lanterns quickly become a source of pollution. 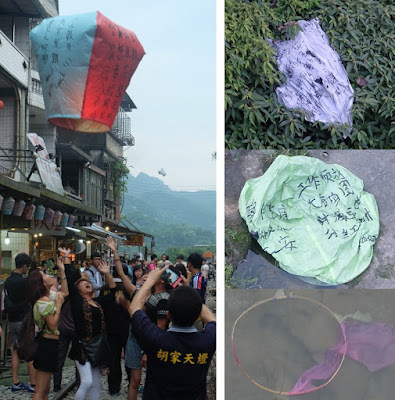 As romantic and nostalgic as this may sound, their release now occurs on such a large, commercial scale that the lanterns, which contain wire and plastic, now litter the community and surrounding mountains, especially the beautiful Keelung River. Once the photographs are taken and the excitement is over the balloons only stay in the air for a few minutes before they run out of fuel and descend into the mountains, and that’s if they work properly; if not they come crashing down still burning and become a fire hazard. I saw one land on a roof still burning and another ball of flames land in the nearby forest. Pingxi Sky Lantern Festival Around the first two weeks of the new year (by the Chinese Lunar Calendar, usually around February) the Pingxi Sky Lantern Festival takes this release to new levels, and while extra public transport is provided, it becomes very crowded. Shifen Old Street Shifen, the first main stop coming from Sandiaoling, is the only place remaining in Taiwan where the train passes just a few metres from the road on either side, and the sky lanterns are released from the tracks themselves. It’s now crowded with tourists, mostly decorating sky lanterns awaiting their turn for release, but it still retains its real historic vibe. It’s worth the twenty minute / two kilometre walk to the spectacular, cascading Shifen Waterfall (十分大瀑布), the broadest waterfall in Taiwan (twenty metres high and forty metres wide), but it’s a pity that there isn’t a closer stop, since the train goes right past it. The path to the waterfall is mostly along the road, but the last few minutes are through the “Shifen Waterfall Park”, where the walking path is very well constructed, so while care should always be taken it should be possible to walk it after heavy rainfall, at which time the falls are the most spectacular. Essentials The Shifen Waterfall Park closes at 16:30 year round, well before nightfall. Electric scooters are available for NT200 per hour. There are no buses to the falls, despite (as of May 2015) Google Maps listing a bus as leaving from Riufang Station. Right in Shifen Old Street (opposite Shifen Station) is a rental shop renting electric scooters (電動車) for NT200 per hour, which are perfect for reaching the falls. Prior experience riding a scooter (or perhaps a motorbike) is essential. Besides the sky lanterns (also released from Shifen) Pingxi is famous for its hiking, particularly the Pingxi Crags, the highest of which is 450 metres. Ropes are set up, and while no special skills are required, they are steep, and require reasonable balance and strength. The whole area offers amazing scenery (besides the crags), including temples and more abandoned mines typical of the area. It’s essential to leave luggage at Riufang Station and carry a bare minimum for the hike. Stock up on some snack food and drinks at the 7-Eleven, especially if you haven’t already eaten at Jingtong. Pingxi is the most famous hiking area along the railway, especially the Pingxi Crags, but there are plenty others. See this post by the author of Taipei Day Trips I and II, for a hike up Mt Jiangziliao and plenty more hikes around Taipei. There are two entrances to the main hiking area, both from the main road which runs parallel to the train tracks. One is just across the bridge from Pingxi, and the other is just past Pingxi High School. Allow at least three to four hours for the hike to and up the crags, but one could spend plenty more time in the area. The terminal station on this line is another little piece of Japanese history, but with the exception of the station itself, which is one of the best preserved old stations in Taiwan, none compare with the beautifully restored buildings at Jiufen or Jinguashi, or Beitou. There are also more hikes around, but none as popular as the Pingxi Crags and their surroundings. The old street appears as if Jingtong felt obliged to have one because all the other towns along the tracks do, but it really feels as if it’s the end of the line, which it is. Directly opposite the eastern end of the platform (towards Pingxi), behind the wishing tree (a tree decorated with hanging pieces of bamboo inscribed with wishes, which can be purchased in the old street) steps lead up to the Shidi Colliery Site (石底煤礦遺址), which includes the sealed up Shidi Slope Mine (石底大斜坑, or Shidi inclined pit) its former head office and coal preparation plant. During the early 1930s it had the highest coal output of all mines in Taiwan, but it’s now all in ruins, with the spent sky lanterns littering the ground the only recent sign of life. Further up, back towards the railway tracks (and with its own entrance from the railway track further east at 50 Jingtong Street) is the Mei Kuang Memorial Park (煤矿纪念公园), with a few picnic tables and public toilets. The main feature of the memorial is multi-story concrete structure, made to resemble a coal mine, which offers good views of the surrounding mountains from the top. It appears, however, to be built into a cliff, with a steep drop from the top without any railing, and the structure itself is cracking in places. The whole area is quite interesting but at least as dangerous, especially the memorial, so it should not be visited during or after bad weather, or by children or anyone without a good sense of balance, or anyone without comprehensive travel insurance. A lot more can be learned, in a safer environment, at the Benshan Fifth Mine in Jinguashi. 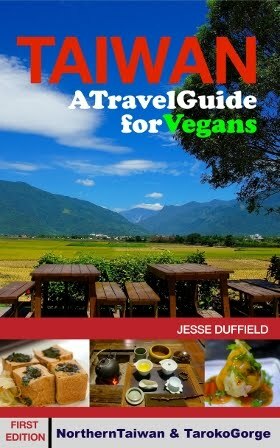 Jingtong (菁桐崇德素食) is the only vegetarian or healthy meal option along the Pingxi Railway. It serves typical Taiwanese rice, noodles and vegetables.They have an English menu, with dishes mostly around NT100, but you'll need at least two per person, especially if hiking. Google maps don’t appear to work well around this area, and the restaurant shows up in very different locations when searched for in different ways. 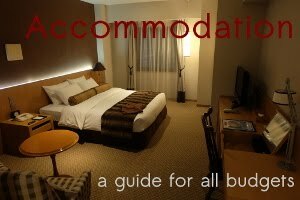 It’s a few minutes’ walk from Jingtong Station (the terminal station) not the nearby Pingxi Station. Exit the station, turn right, walk down the ‘old street’ (through the souvenir and candy shops) until you reach the main road. The restaurant is directly opposite the bridge across the river, on the same side as the railway tracks. The Pingxi railway branches off the main railway (connecting Taipei, Jiaoxi and Hualien) at Sandiaoling Station (三貂嶺車站 ), but many of its trains continue on to Riufang Station (the closest stop to Jiufen and Jinguashi). When returning to Taipei from the Pingxi Line Google Maps may suggest a particular station to change at based on the precise speeds and timing of both trains, but otherwise change between the two lines at Sandiaoling Station. The complete journey from Sandiaoling Station to the terminal Jingtong Station takes about forty minutes and costs NT19; the whole trip from Taipei can be covered by an Easycard. A one-day pass (from Riufang to Jingtong) costs NT54, but as of May 2015 the discount is automatically applied to the Easycard. While the railway itself and many stations and surrounding buildings are historic, the trains themselves are just ordinary local trains, unlike the original steam engine which takes passengers up Alishan Mountain, so consider a bus if it’s more convenient. It’s possible to reach Jingtong, or return, via bus 795 to Muzha Station, the terminal of the brown line, which would tie in well with a trip up the Maokong Gondola. Alternatively bus 1062 (bound for Jiufen) departs from Zhongxiao Fuxing Station (for Jiufen and Jinguashi) and stops at Riufang Station, where it’s possible to transfer to the Pingxi Line. If returning at night Bus 1062, like the train, stops at Songshan Station on the green (Xindian) line.